True Link has been a blessing for our family. Dad has his independence, and I have the controls I need to protect him. Worried about a loved one losing money to scams, predatory telemarketers, or unwanted charges? With the True Link Card, you can block online purchases, sham charities, international charges, and wire transfers, while allowing expenditures for medications and local restaurants. That’s why we created True Link: so you can help safeguard your family’s financial well-being without compromising your loved one’s independence. 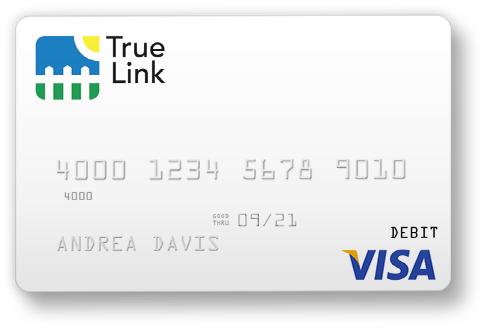 The reloadable True Link Prepaid Visa Card is simple to set up and customize to meet your family's unique needs – prevent over-the-phone spending, disable wire transfers, block specific merchants, or limit ATM withdrawals – all while allowing your loved one to more safely and independently purchase what they need. 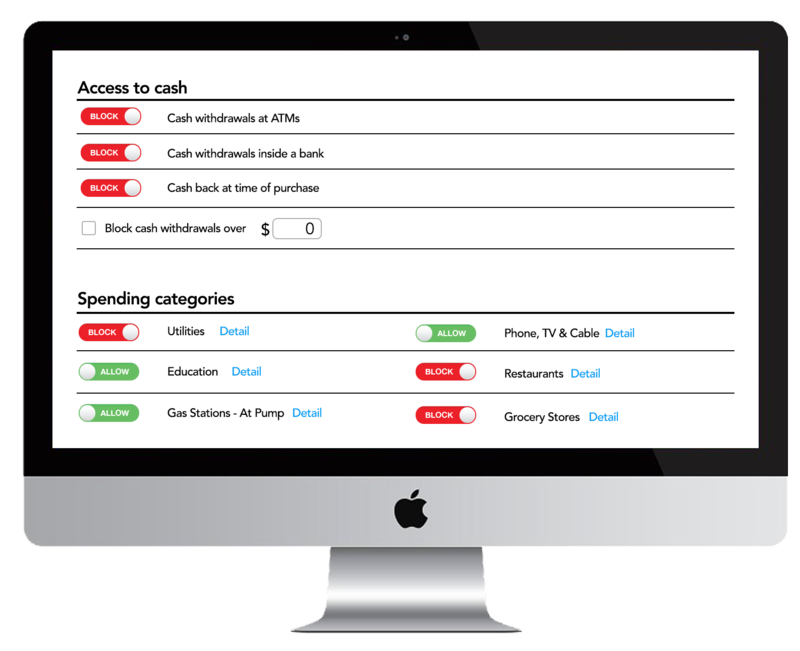 Customize card settings with our user-friendly online dashboard to control when and where the card works. With True Link you can find out about potential problems right away. When an unwanted charge is blocked, you can choose to receive an alert. * Or you can get alerted* about larger-than-normal charges or unusual transactions. True Link Cards can be used at millions of merchant locations everywhere Visa debit cards are accepted. The card can be used for everyday purchases like paying bills, buying medication at the pharmacy, and going out to the movies with friends and family. Have a question? We're here to help. Contact us at 1-866-984-8576.